Our Jesse. Big season from him coming up. Looking forward to Lingard - especially if he gets to play behind a front 2. He has the ability to make the right runs to turn a front 2 in to a front 3. Really benefited from playing in the right position last season unlike some of the other players. He was the only bright spark when he came on today! 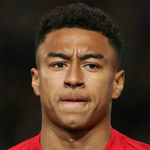 Really, its got to the point with Lingards performances that after De Gea and Lukaku, the next automatic starter should be Lingard. Agree, he was the only one who offered any type of energy today. Agree, he was the only one who offered any kind of energy today. He was fairly good for the first 5-10 minutes after he came on, but after that he drifted out of the match. He continued to run more than the players he replaced, but that was about it. Come on Jesse, don't capitalise every word. It makes him look like a 12 year old. I'm not a big fan of him I have to say, he runs a lot and picks up some good positions but he just lacks quality on the ball. Tried to dribble a couple of times today and just lost the ball each time. I do prefer him to Mata and Rashford and he is one of our better attackers, but the bar isn't very high really. Not that he was bad or anything, but I'm starting to get annoyed to see us losing and players going on social media telling fans not to be sad and we will win next the match. 6 years running of these tweets and quotes, don't they get bored ? I saw the tweet this morning, wasn't a good idea, he should just leave it. Can't believe we allow this sub-par child to be the face and future of Manchester United. I'd absolutely love to see the back of him. What did Jesse do? Is there a single player that our fans actually like? Think he has the potential to be even better than he already is if the players around him play football in a similar manner. Quite a deadly forward Lingard can be. Be better than he’s been lol I’ve heard it all now. He’s been shite for 3 seasons now and hopefully gets replaced with quality but unlikely due to board not backing our manager it’s TC23 all over again. Willian would have been a huge upgrade. The scary thing is he’s still better than Juan Mata. Our squad is pitiful just now. Our right side is so bad that Lingard's gone from being "a useful squad player" to someone that many fans are desperate to see start on the RW. Says it all about the state of our right wing. Yuk willian - rather Jose is sacked. Willian & alderweireld would have won us the title with the squad in 2004. Not now; would not make a single difference - because ultimately the football that is played is of very low quality & willian +alderweireld would not change that when there is a target man who can't control his feelings never mind his first touch. Glad Woodward didn't spend 70mil each on these old players - would not make us win the title & would have been a waste of money with Jose reverting to the easy way out of management & getting players he knows to simply 'try their beat' /work rate or whatever his only speciality revolves around. Looking forward to Lingard playing as A CAM behind martial & Lukaku in a 352. No need to play make shift RW's when we don't not have any. Willian? a huge upgrade? Are you still in your dream or something? Willian is already 30 years old & his end product record per season isn't even any better than Lingard. How is he going to be a huge upgrade? 50m plus for him is not even worthy. Why people still haven't realise of the way how our right winger operates in Mourinho's system right now. Mourinho likes balance in his formation and Lingard's work rate & off the ball movement can bring the balance on the RW. France won world cup with Matuidi as their LW to give the balance in their midfield. You don't always need a proper winger in order to win something. They won the world cup because they had quality like Griezmann and Mbappe up front. They could have replaced Matuidi with a dozen players and still won. That's not a rocket science to tell me how they won the world cup. The point is that they won without having both quality wingers, Mbappe offered attacking threat while Matuidi gave balance in midfield. You look at our players, we have Sanchez & Lukaku up front. Are they not quality enough? We paid huge on them & Jose is expecting them be our quality players who step up in the game just like Griezmann & Mbappe. Says it all about the state of our club. When we're competing against a team that has De Bruyne, David Silva, Bernardo Silva, Mahrez, Sane, Sterling and Aguero then no, those two aren't enough. Lukaku isn't someone that can consistently make something out of nothing and Lingard is average so the whole attacking burden then falls on Sanchez. It doesn't work. Sorry it’s you that needs to wake up and smell the coffee. Willian is a far better player than Lingard in virtually every aspect I’m not going to try and convince you it’s that blatant. Do you not read what I just posted? The way how Mourinho set up his right winger right now is completely different of how Brazil, Pep & Klopp sets up right now. He likes the balanced in his formation. How is Willian going to be a huge upgrade? Lemar & Martial are far better player on LW than Matuidi, and Matuidi played ahead of them for the sake of the system France was playing. That's very lazy argument you had there. If you want to prove me wrong and yourself right, give me evidence! Willian last season produced 6 goals & 7 assists, Lingard produced 8 goals & 5 assists last season, what makes you think he's going to be an upgrade. Griezmann & Mbappe were competing with De Bruyne, Hazard, Lukaku, Mertens and they still beat them with Matuidi as their LW. Some system needs to have a certain player to give the balance in the manager's system. Then instead of blaming Lingard or our right winger situation, players like Lukaku & Sanchez will need to start step up their game like what the manager is expecting. We paid huge money because the manager believed they are top class players like Griezmann & Mbappe who capable to step up even playing with Matuidi as their LW. This could be what Mourinho wants with his right winger right now. Someone who works hard & offers balance in the team. He hasnt been shite, hes been very inconsistent and drifts out of matches far too much when playing on the right. All of his good games last season came from when he was playing in the middle. He doesnt really fit our current tactics and I dont think hes good enough to change our formation from week to week to always play him behind Lukaku. Indeed. Playing central has been where he's performed better. But he showed he can definitely do it on the right side - was thinking about Palace away when he came on as an amost wingback. Urgh imagine if we just played with that endeavor for even a half hour ever game nevermind the full 90. Yes I read it and don’t agree hence my response thank you very much. 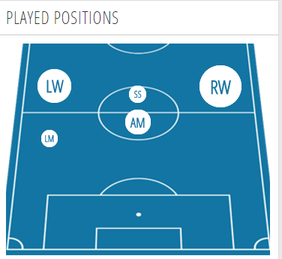 I see Willian’s overall play and his play making abilities that far out way Lingards. Goals and assists both are below average. I’ve saw Willian run games from start to finish I’ve never saw Jesse do that he’s mostly a passenger. Willian is a far superior player if you don’t agree fine but to me it’s blatantly obvious watching them. For a United regular starter standard he falls far below what is required imo. For a squad filler fine but he’s very weak and looses possession far to often. His work rate is his biggest asset. 8 goals and 5 assists last year. You make him sounds like some hard working defensive player. For what it is worth I reckon Lingard would look very good in City's current team. Lingard would have been ditched by Pep after his first season. As would most of our squad if he could afford it. Lingaard is a player who can see openings and his movements off the ball are good too but if his team mates cannot find or pass to him then he is doing a lot of useless running as everyone says, he runs a lot. But to make something of all this running, his team mates has to use it. Yes - I don't think he'd get in their team, I'm just guessing he'd look good in their current system if he was picked. Matuidi running up and down the left wing (which is something he has done all of his career) doesn't he played as a LW for France . The team just lacked a capable runner on the left and he offered while guaranteeing the usual midfield workrate. I like Lingard but when Sanchez is in the team he just loses the ball, and Lingard's runs are wasted.